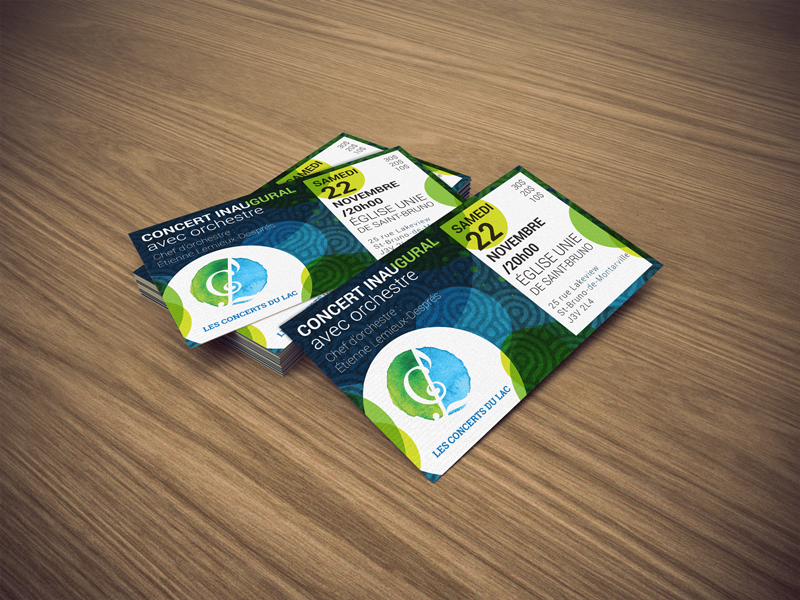 Logo, branding and print materials for the launch of musical society “Les Concerts du Lac”. 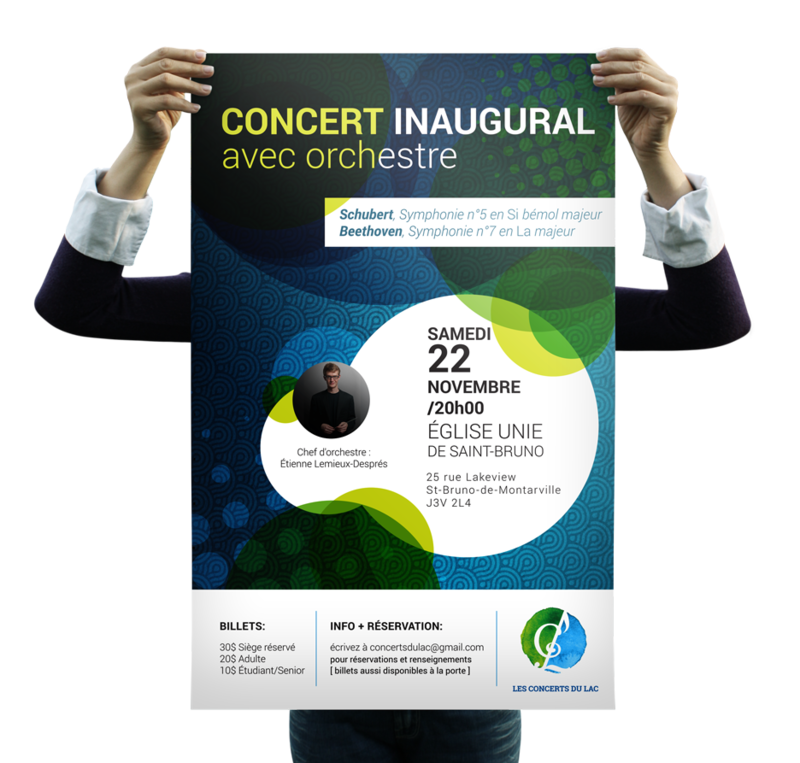 After creating the logo and branding for the Concerts du Lac society, I was asked by the client to design the poster and tickets for the society’s inaugural concert. The visuals for these print designs needed to be bright, energetic and fresh to catch the eye of potential concert-goers and introduce the society to the community at large. 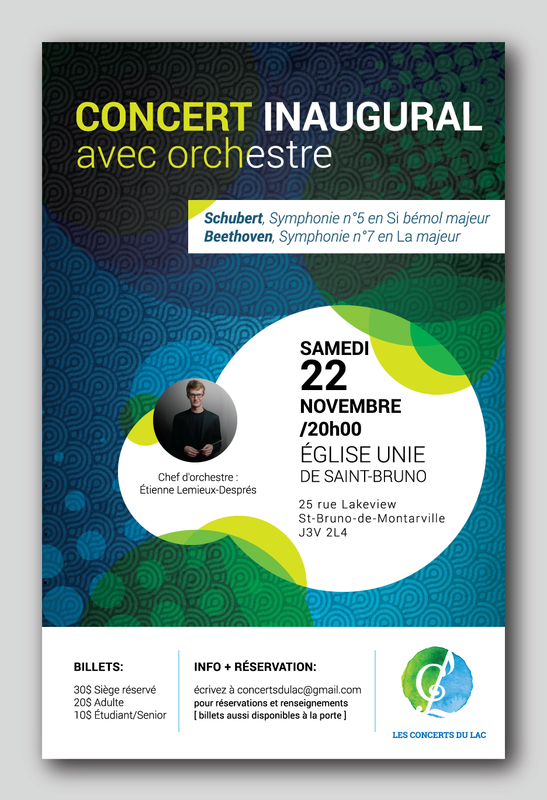 The Concerts du Lac society’s aim is to increase access to high-quality classical music performances to the residents of Saint-Bruno-de-Montarville, a suburb of Montreal, and provide young professional musicians with increased opportunities to practice their craft .